I saw this lovely idea here (don't you love Emily's blog?) and had to make it since it is so apt to the husband and I. It was easy to make and looks pretty sitting in our bedroom. 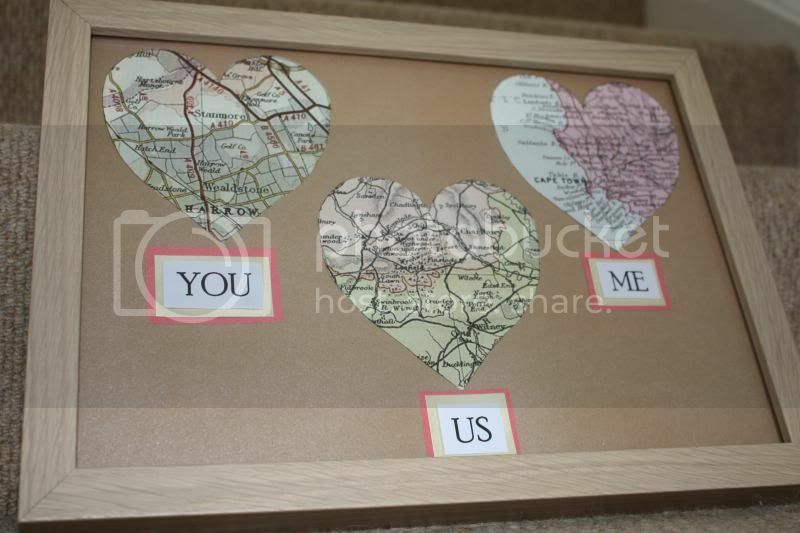 To make these pretty frames, just cut out the hearts using a stencil (I got mine off google images) from the map images. Glue these onto your card and then glue the words under the appropriate map images. I love the way mine turned out. Its personal and handmade. Perfect.